We recently spoke with Julie Denby, a Connecticut native who is known for her coffee, clothes, and all things carbs on Instagram about life in Connecticut and the spots she thinks are worth the visit! Local Connecticut: You're craving a coffee and some donuts, where's your go to spot and why? LC: Let's talk carbs. What are you getting and from where? JD: Roseland Apizza in Derby is so good. Sure, New Haven has great pizza too but, the vibe at Roselands is awesome. I don’t think you need to get fancy toppings on your pie to make it the best, you can’t go wrong with a solid pepperoni pie. LC: No weekend would be complete without enjoying a Sunday brunch, where are you going? JD: Sunday brunch at The Pantry in New Haven is where you can find me. But early, like right when they open, or else you’re waiting in a line that wraps around the building. My go to order is always Eggs Benny AND the cinnamon swirl pancake. It’s. The. Best. LC: What's your favorite outdoor adventure in Connecticut? 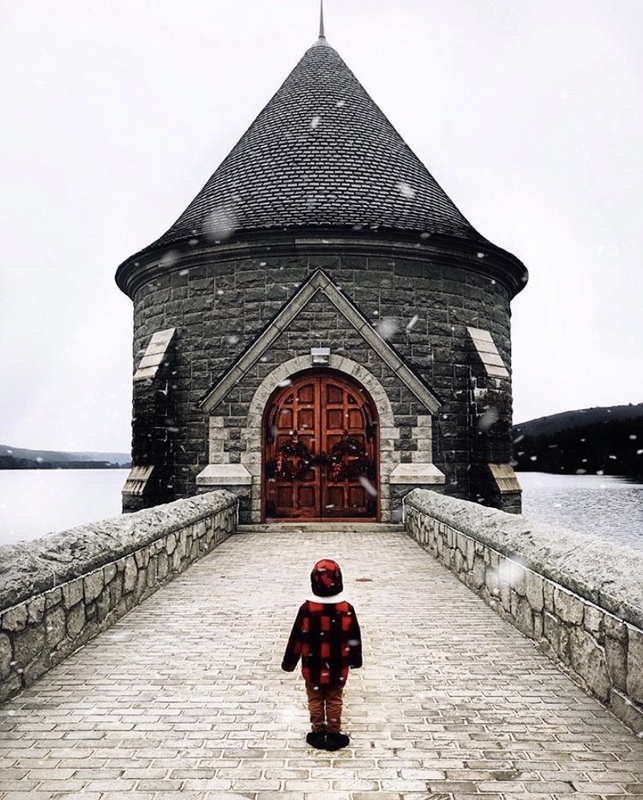 JD: I love heading up to Saville Dam in Barkhamstead, CT. It’s seriously straight out of a fairy tale. Taking photos and exploring the area is perfect during any season. On the way stop by Dom’s Coffee in Avon (so good and the owners are the sweetest!) and then drive through Simsbury to see their Flower Bridge. LC: If you had to pick only one season in Connecticut which would it be and why? JD: Falllllll! It’s magic around here in the Fall. I love apple cider donuts from Beardsley Cider Mill, driving back roads to see the changing leaves, and visiting every single farm known to man for hayrides and pumpkins! LC: What's your favorite thing about living in Connecticut? JD: For one, I grew up here and my family still lives in the house I was raised in! But also, I love how close we are to everything. We have an awesome New England vibe here but, we can head into Manhattan when we want a city vibe! LC: If you had to give one piece of advice to someone else living in CT when it comes to enjoying the state what would it be? JD: Get out and find new places. Travel around the state to explore. It’s easy to get stuck going to the same places in your area for convenience, but it’s so nice to get into your car and head to a new city or town!